A sports watch can clearly help with cross-country training - we've established it. Now, it's just a matter of checking what exactly and how you can use the data it provides us with. And although in this series of articles we describe the running preparations of three specific people working under the supervision of a professional trainer, it is worth being aware that this information can be useful to any running enthusiast. Those who already have a sports watch can see what they can use and how to learn from his records. Those who do not have the watch yet, can see if such an addition would work in their training program. Just in case, I suggest: it would be useful. Now let's see for example why this is so. 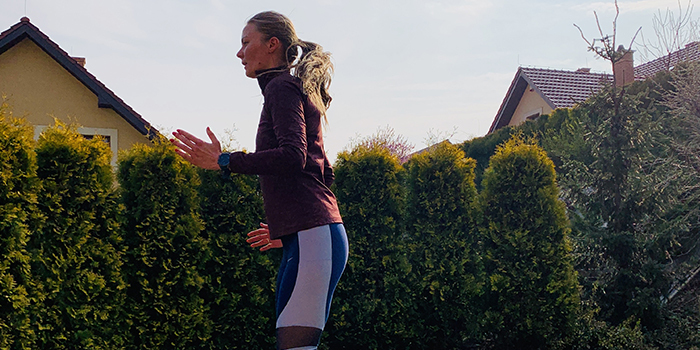 Karolina has already been in the marathon since receiving the Huawei Watch GT Active sports watch. Unfortunately, she failed to finish it - she had to leave the route for 30 km. 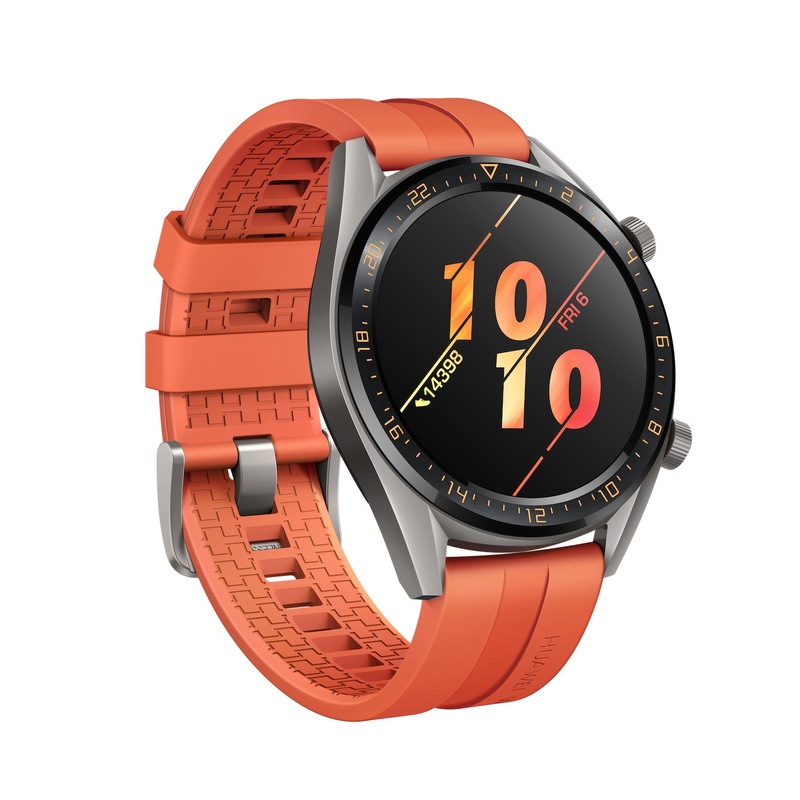 On the basis of data from the watch and Huawei Health , however, the trainer was able to quickly determine why this happened. Karolina simply took off too fast, keeping the pace between 5:06 and 5:11 min / km, which caused acidification of the body, and in consequence lack of energy needed to complete the race. And here you can see the first reason why it is worth having a watch with accurate monitoring of the tempo, but also (or maybe above all) the heart rate. With longer runs we are not always able to monitor how fast we run. It may seem to us - like Karolina - that we are running at the right pace and with the right effort. At one kilometer it turns out, however, that we ran definitely above strength and instead of a great result we will have a failed start. It is worth having at hand (or rather on hand) a watch that quickly shows us whether we are running the assumed pace and we have heart rate under control , or maybe exaggerating. In addition, in Huawei Watch GT Active you can set any target pace and during the run to check whether we stick to it, whether we are behind our goal or if we run too fast. If, however, we are not sure at what rate we should run, we can rely on the heart rate and simple division into zones. Huawei Watch GT Active, of course, is equipped with an optical heart rate sensor , so checking whether during training or race we do not overestimate too much (or do not knock) will be very easy. 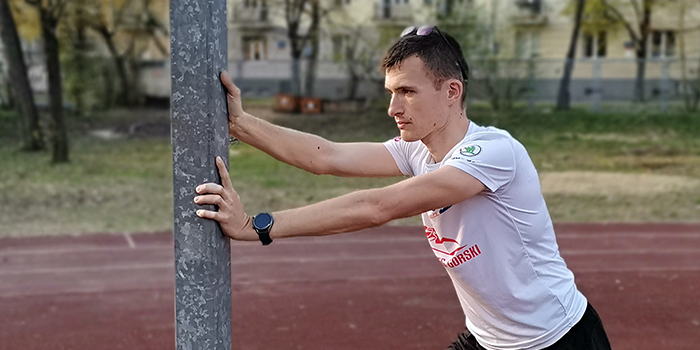 Coach Wojciech Staszewski also recommends Karolina regeneration after more intense workouts and races, and here also Huawei Watch GT Active can play an important role - it is equipped with a system of calculation of the recommended rest time between stronger training units. You can check it directly on the watch or in the Huawei Health app. And it is good to follow these suggestions, because otherwise our training can be wasted due to overloading and fatigue of the body. David, in turn, had no problems with completing the marathon. Not only that, he finished it in a great time 2:58. 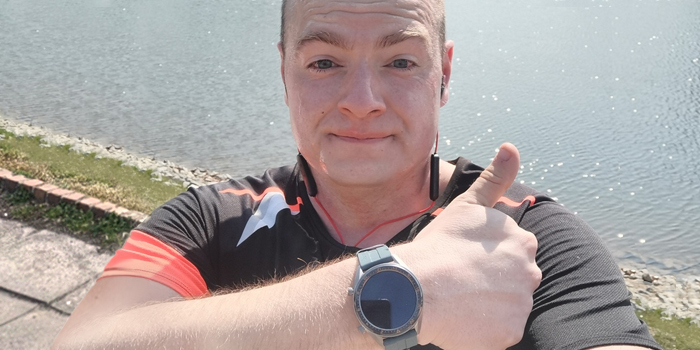 In a great condition, the marathon was also completed by Huawei Watch - after 3 hours of heart rate and location measurement, the battery of the device was still charged in about 80 percent. So without recharging you could run another marathon. And then another. And several more. What affects such a good result in the marathon? Of course, workouts, not a watch, but the watch is able to help you in this preparation. David uses the running assistant function , which after the first kilometer informs him about the current form and how much he can afford. Additionally, after training in the application, Huawei Health can find a lot more information. Including data on the level of training , already mentioned rest time, training load , as well as anticipated racing times . Especially the latter data may be useful, both when planning a training plan and when planning our next race. Each time after the run is completed, it is also possible to check what effect the training has had on our body . Did he help us improve the efficiency, whether he ensured maintaining the current level, or maybe he was too strong and need to avoid such training units. Of course, it's best for the professional coach to analyze our achievements, progress and workouts. But if we do not have access to it, we can base on analyzes made by algorithms verified for years. Michał's plan to start was simple - lose a few kilos, mainly changing the diet. Measurements on the weight of the Huawei Health Scale have quickly shown that changing the eating habits brings the right results. At the same time, the key here is that the Huawei Smart Scale measures not only the mass but also the body composition . In the end, it's about adjusting your diet and workouts to burn body fat, not muscle mass. With a scales analyzing body composition, there is no problem to check if everything goes as it should. Effect? One minute less time in a 10 km run. 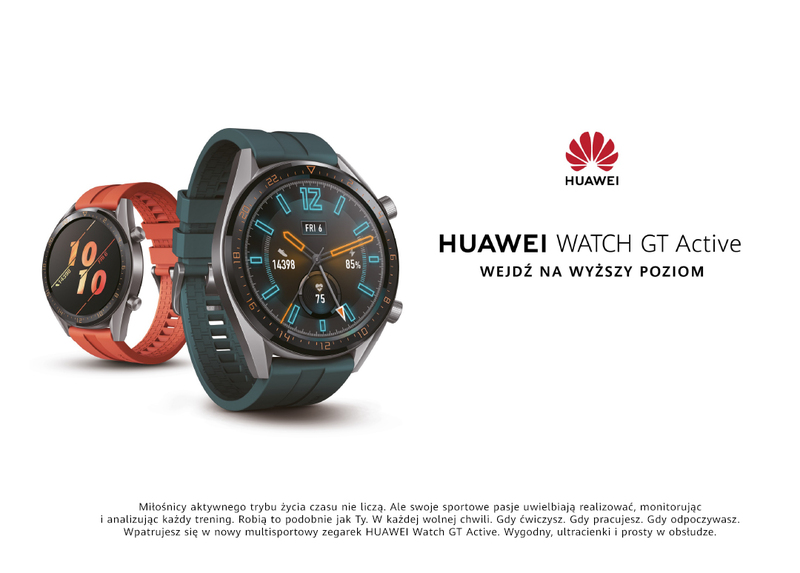 However, the analysis of data from Huawei Watch GT Active allowed to detect another problem - the term (number of steps per minute) in Michał is about 150, instead of the correct 170 and more. It is necessary to work on the rhythm and technique of running, which will affect not only the result, but also on the likelihood of injury. In the case of Michał, it will also be necessary to diversify the pace of training, in which a sports watch is essential. For example, Michał will do a longer run at 7:00 min / km, which is not a natural training rate for him. And there is nothing better to watch the pace than the watch telling you that we are running too slowly or too fast. On the other hand, during the intervals, Michał's pace will be as much as 2:30 m / km - a watch will also be useful here to see if this level has been achieved. 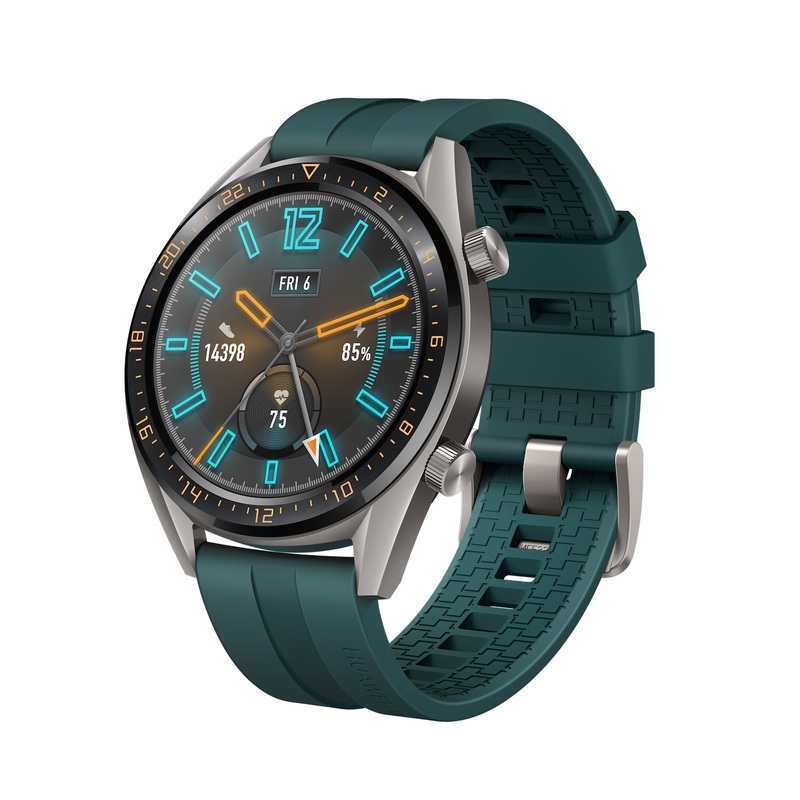 So far, all participants have found something in Huawei Watch GT Active and Huawei Health application that will help them improve their running results. And before them, a few weeks until the final test. You can learn more about the preparation of the three runners from this entry . We keep our fingers crossed for success and of course we will cover the next stages of preparation! * The entry was made in cooperation with the Huawei brand.